Description Of Item: Spring into adventure with the world greatest collection of Super Heroes. The mightiest Marvel heroes are ready to save the day with their amazing abilities and super powers. 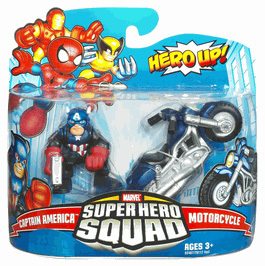 Join the battle with the Marvel Super Hero Squad!